Gorgeous and stylish, the peaceful Mondrian in Bellevue, Washington offers homebuyers an exclusive opportunity to own a new condo home in Bellevue. Offering incredible amenities, a convenient location, and the sought-after tranquility near an urban center, the condos in Mondrian are truly a one-of-a-kind opportunity. Located at 10015 Northeast 4th Street in Bellevue, Washington, these charming condos present the option to live at the pinnacle of luxury, with incredible features and amenities homebuyers are sure to revel in. 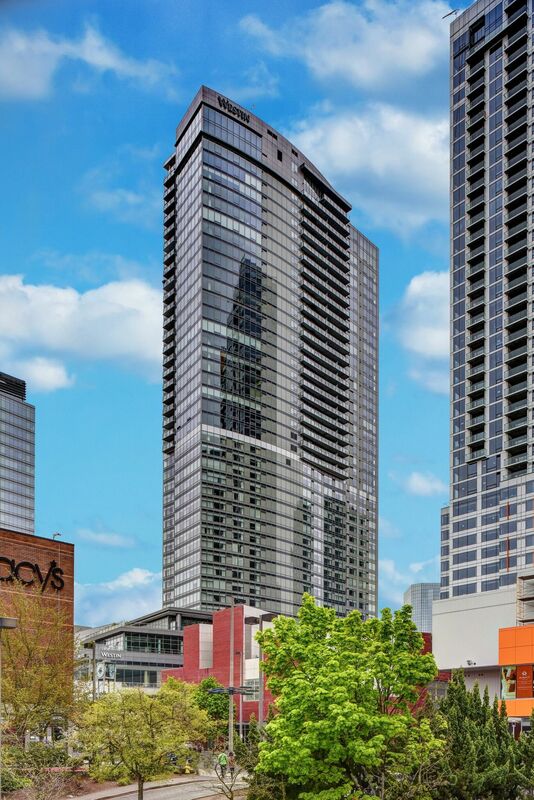 Buy a beautiful new condo home in the Mondrian and take advantage of the peaceful setting the complex offers as well as the exciting amenities the lively city of Bellevue offers. While the amazing location and tranquility provided by the Mondrian are certainly enticing, the amenities close by are simply remarkable. Buy a new condo home in the Mondrian and enjoy splendid dining, recreation, shopping, and entertainment while reveling in the luxury of a new condo home. Dining options near the Mondrian include a variety of fine-dining establishments, with hearty comfort food, seafood, and exotic cuisine available. Homebuyers can look forward to plentiful shopping opportunities, as Bellevue offers numerous malls that merit exploration, as well as quaint specialty shops. The Mondrian boasts proximity to numerous parks, so homebuyers can look forward to engaging in exciting outdoor activities as well as sight-seeing. The amenities offered by the Mondrian, as well as the incredible location, make it a notable and exclusive real estate option, one home buyers certainly don’t want to miss. In addition to plentiful amenities and the serenity provided by the amazing location, the condos in the Mondrian are luxurious and astonishingly well-appointed. The Mondrian offers features such as a massive modern kitchen with deluxe appliances and beautiful cabinetry, spacious and well-designed floorplans, and wonderful and relaxing patios. The Mondrian will satisfy any homebuyers need for living space, with 1 and 2 bedroom units available that range in size from 1,426 square feet to 2,030 square feet. The condo homes in The Mondrian are sure to catch the eye of homebuyers looking for a luxury condo in Bellevue, and these condos will not disappoint. Those interested in taking advantage of the incredible real estate opportunities that Mondrian in Bellevue, Washington presents should not hesitate to contact us today for more information or with any questions they may have about the condos for sale in the Mondrian. Updated:26th April, 2019 10:02 AM.